This is a complete interactive notebook unit with assessments for African Civilizations, 400 B.C. – 1500 A.D., including Ghana, Mali, and Songhai. 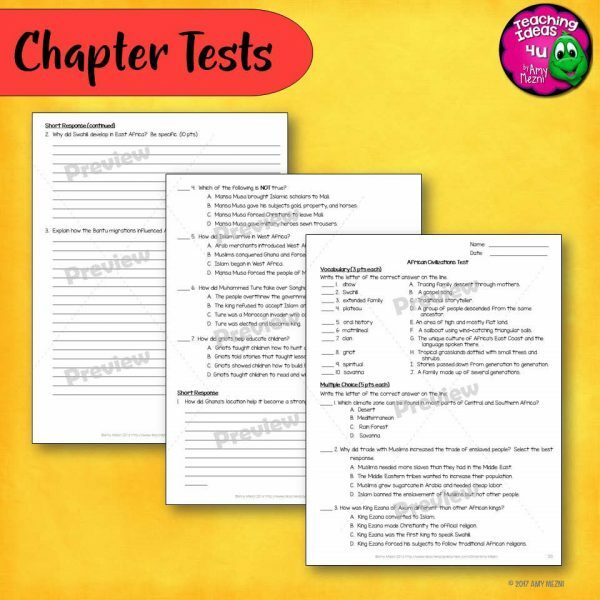 This 45 page unit includes activities and a complete answer key. 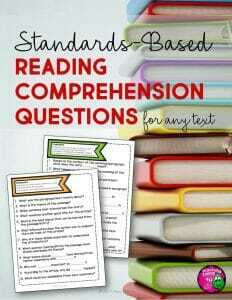 I included some activities that could be used as assessments, as well as Essential Questions. 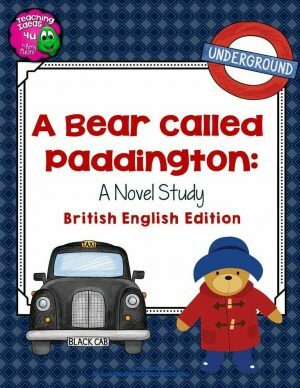 I have included a test that is based on what students learn in the INB. If you need more world history units, please follow my store for product updates! 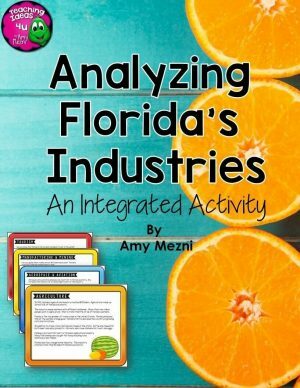 What is Social Studies? 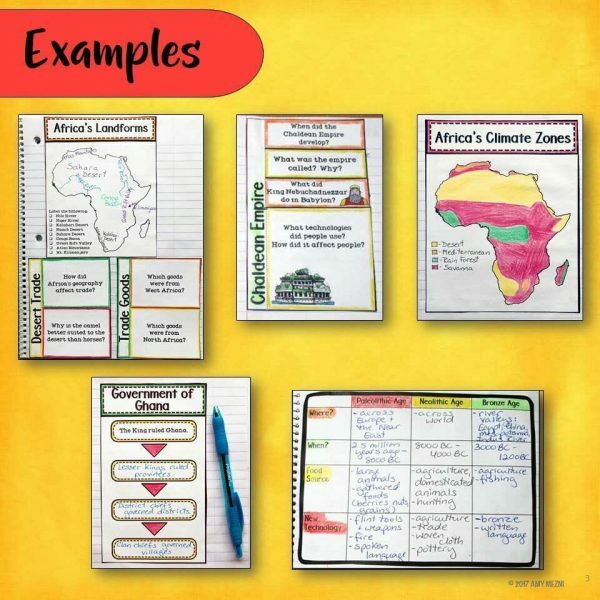 Geography, Economics, & Citizenship Interactive Notebook Unit . 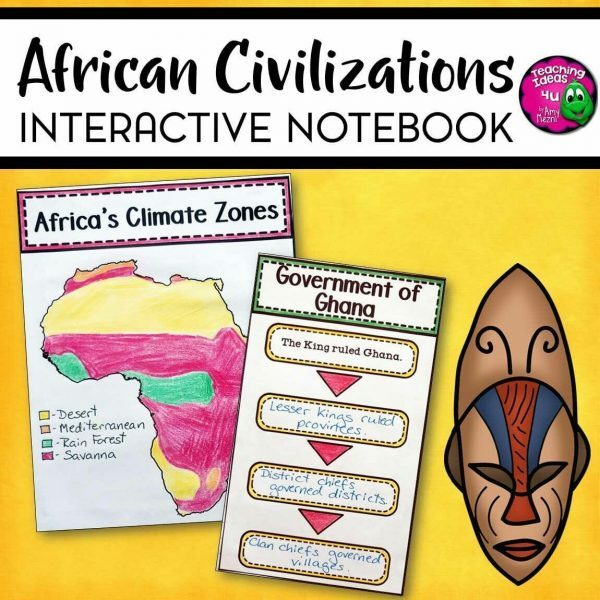 Early People & Mesopotamia Interactive Notebook Unit 6th Grade. 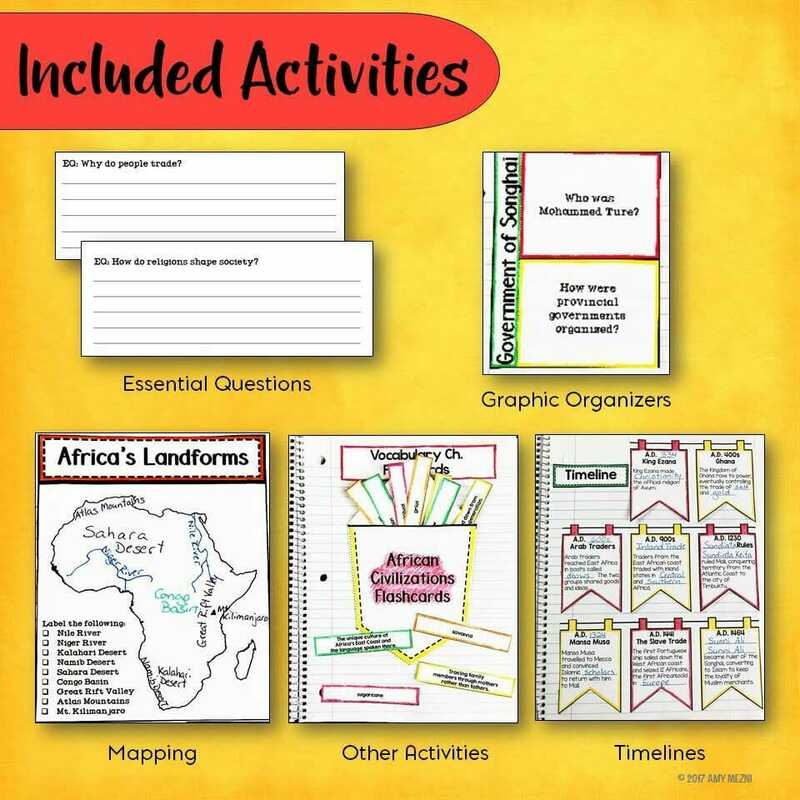 Ancient Egypt & Kush Interactive Notebook Unit 6th Grade INB. Israelites & Early Christianity Interactive Notebook Unit 6th Grade INB. 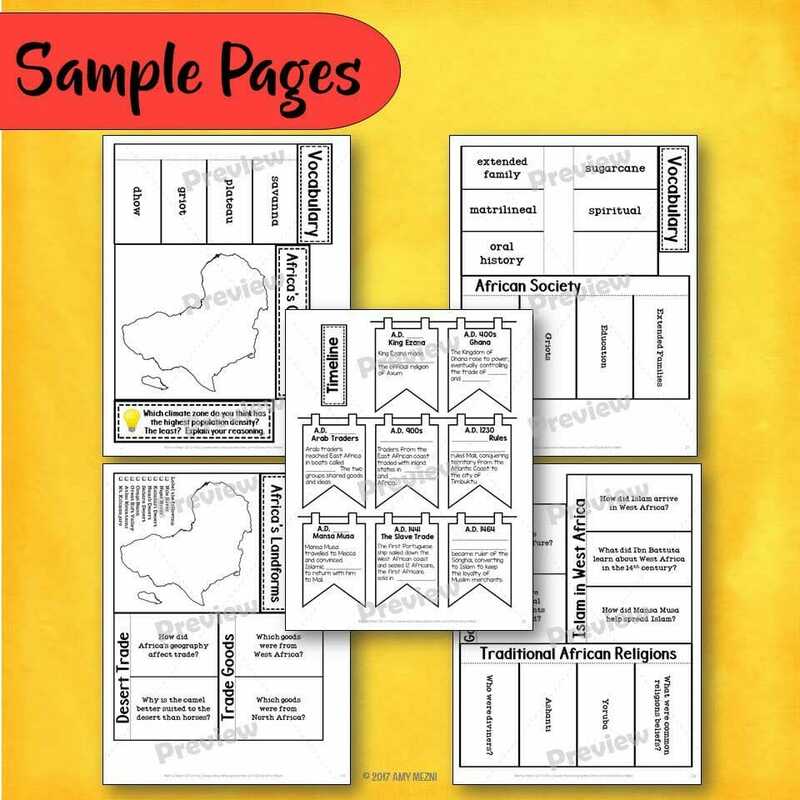 Ancient Greece & Greek Civilization Interactive Notebook Unit 6th Grade INB. Ancient India Interactive Notebook Unit 6th Grade INB. 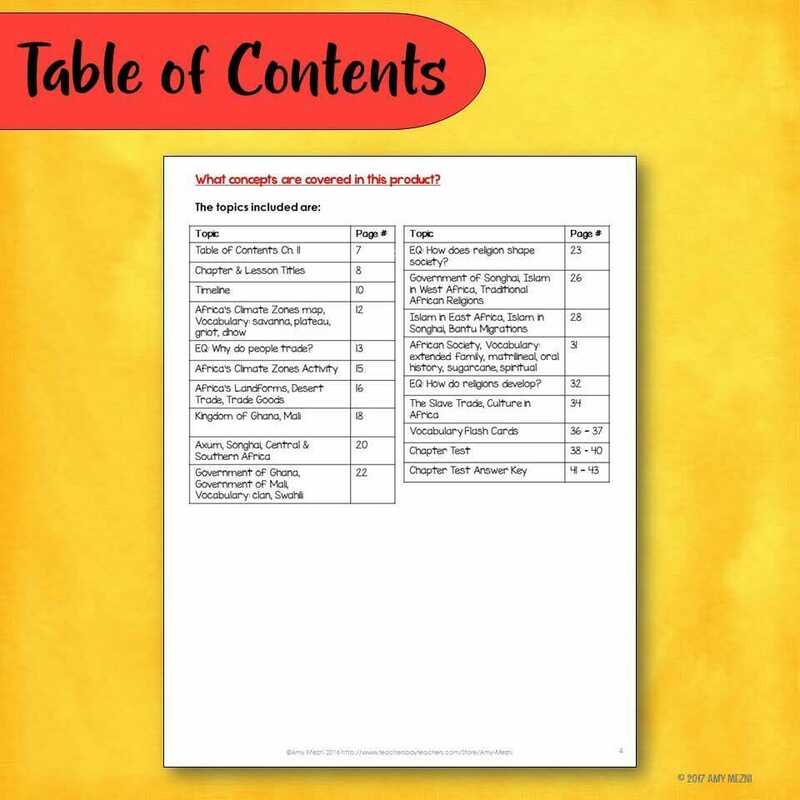 Early & Imperial China Interactive Notebook Unit 6th Grade INB. 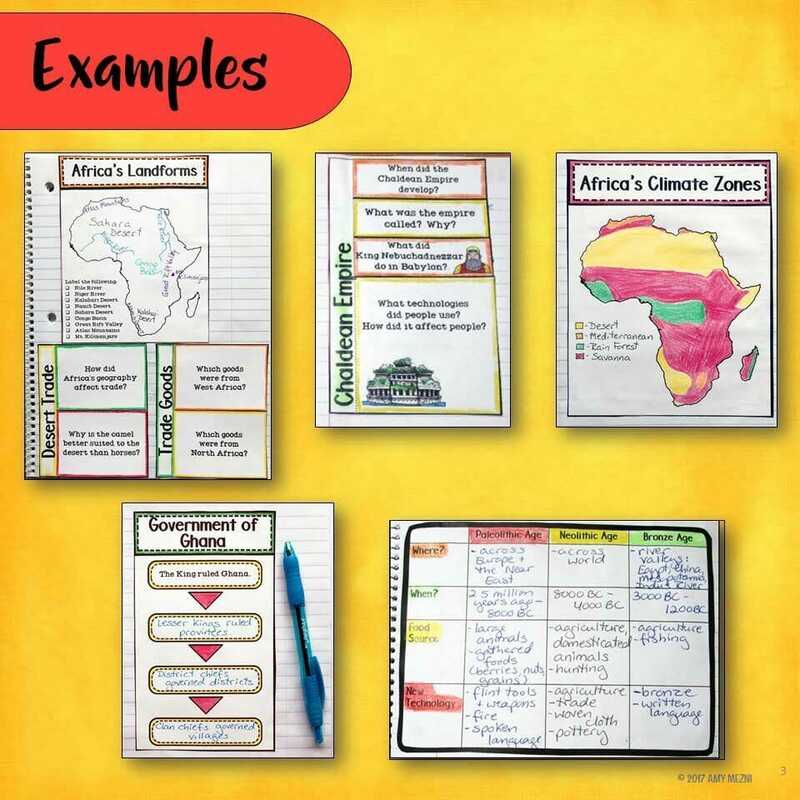 The World History units are also available in a money-saving bundle! Buying the bundle saves 20% off the cover prices. 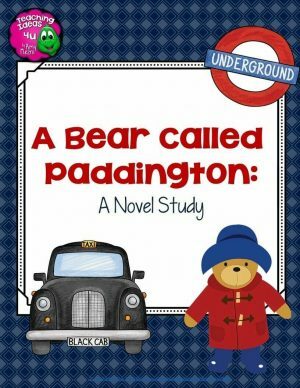 Are you a digital classroom? The World History units are also available in a a digital bundle for Google Drive. Units can also be purchased individually. Microsoft OneDrive users can also use the digital products.